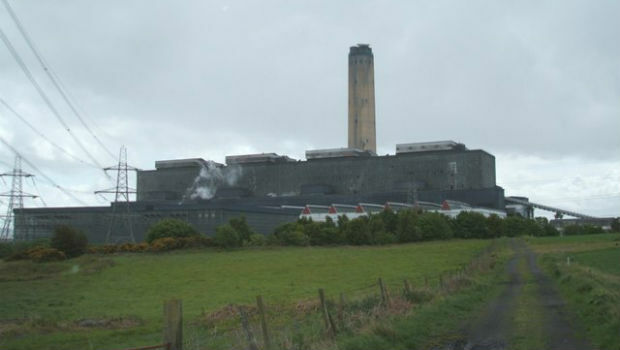 Longannet Power Station near Kincardine has been named as one of the “Dirty 30” top polluting power plants in the European Union by the environmental conservation charity WWF. The report examined the Carbon Dioxide emissions from coal power plants across the EU for 2013 and concluded that Longannet came in at number 21 on the list. The “Europe’s Dirty 30” report exposes the top 30 polluting power plants in the EU, ranked according to their total carbon dioxide emissions in 2013. The UK and Germany rank joint first, with nine of the dirtiest coal plants each. Poland’s Belchatow plant came top of the list with the UK’s largest coal plant, Drax, coming in at 6th on the list. The nine UK power stations produced just under a third of the UK’s electricity supply last year but were responsible for nearly two thirds of carbon emissions from the power sector. The plants were mainly built in the 1960s and 70s and are therefore old with a low average efficiency of around 36%. Scottish Power, which runs Longannet Power Station commented that “substantial investment” had been made in the plant to ensure that it complied with “strict” environmental limits. The UK’s coal plants produce air pollution in the form of nitrogen dioxide, sulphur dioxide, particulates and mercury, which have significant negative impacts on human health and the environment. Air pollution caused by UK coal power stations is estimated to be responsible for 1,600 deaths per annum in the UK.